In 1986, the British music magazine NME released the cassette-only compilation C86, a collection of songs by indie bands from across the UK. The bands represented on that tape — Primal Scream, the Pastels, the Soup Dragons, the Shop Assistants, the Wedding Present, the Mighty Lemon Drops — were all young and hungry, and taken together as a whole, they showed that something new was happening. These bands might have taken inspiration from the punk and post-punk explosions, and their thin, lo-fi sound was both an economic necessity and a holdover from that period. But they were interested in sadness and longing and sweet melodies and jangling guitars. They helped usher in a period of hazy, shimmery, heart-on-sleeve underground pop that came to be known as twee. That music helped kickstart underground scenes on both sides of the Atlantic, and pretty soon it became a genre and an aesthetic and then, eventually, a bit of an epithet. In time, it came to apply to bands like Belle And Sebastian who made lush, cinematic music that was connected to those C86 bands in spirit but not in sound. And 12 years after that original big-bang tape came out, the members of Girl Ray were born. All three members of Girl Ray are 19. They started playing together three years ago, coming together at the same North London high school where the earliest version of the Kinks formed a few decades earlier. 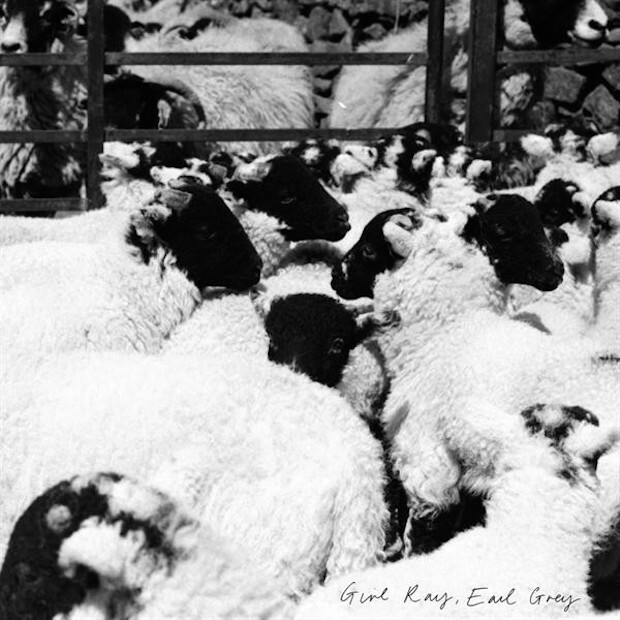 They’ve put out a few singles, and Earl Grey is their first full-length. It’s an album full of small songs about big feelings, and in scope and sound, it’s closer to the original C86 source material than any of the twee-revival records that I’ve heard in recent years. The songs aren’t lo-fi, exactly, but they have an analog warmth that helps them stand out. And leader Poppy Hankin’s lyrics are direct to the point of near-artlessness, which of course is what makes them artful: “You’re so cool / Dunno what I’d do / If you say, ‘I like you, too. '” But for all the echoes of scenes past, Earl Grey never sounds like the work of revivalists. Instead, it’s almost like these young women have immersed themselves completely in the same music that inspired the original C86 bands. You don’t get the sense that they’ve sat around listening to these older bands, trying to recreate their sounds. Instead, it’s more like they’re just conveying ideas and emotions through sound, and like the sound that comes out just happens to sound a whole hell of a lot like 1986 indie-pop. But there’s more to Girl Ray than the C86 influence. A lot of twee-revivalist types make sparse, rudimentary music, and Girl Ray don’t do that. Their arrangements are, more often than not, commendably ambitious. They play around with horns and strings and windchimes without ever doing the Belle And Sebastian orchestral-pop thing. “Earl Grey (Stuck In A Groove)” is a multi-part 13-minute epic built around the glow of an expertly recorded electric piano. All three of the band members sing, and they do gloriously Beach Boys-ish things with their own layered harmonies. Some of the songs carry slight echoes of ’50s rock or old-school country. But even with all these different instruments and influences in the mix, Girl Ray always sound exactly like themselves, never like they’re chasing someone else’s sound. In a way, they remind me of Girls (a band that, while similarly named, did not feature any actual girls). They’re not as accomplished — not yet, anyway — but you get that same sense of decades of popular music being boiled down and then refracted through a couple of people’s peculiar personal sensibilities. In the case of Girl Ray, those sensibilities seem to belong entirely to Poppy Hankin. As a singer, Hankin has an intense deadpan flatness. She reminds me of Nico, or of post-punk-era OGs like the Raincoats or the Delta 5. (Speaking of post-punk connections, it wasn’t just the Kinks who went to the group’s high school. This is almost certainly a massive coincidence, but the Slits’ Viv Albertine also went there. And Kinks-meets-Slits, it turns out, is a not-bad way of describing Girl Ray’s sound. Rod Stewart also went there, but there’s no Rod Stewart in Girl Ray.) Like the album’s flat production and its stew of influences, Hankin’s voice makes Earl Grey sound like a record out of time, one that can’t be pinned to a specific era. The idea that actual teenagers made an album this sharp and sophisticated and interesting is the kind of thing that should make the rest of us feel bad. Earl Grey is out 8/4 on Moshi Moshi. • Dead Cross’ furiously jittery self-titled splatter-core debut. • Amy O’s lo-fi bliss-out Elastic. • Briana Marela’s slippery, synthy Call It Love. • A$AP Twelvyy’s very ’90s-rap debut 12. • Randy Newman’s sharp, satirical Dark Matter. • Jenny O.’s calming indie rocker Peace & Information. • Melvins drummer Dale Crover’s solo debut The Fickle Finger Of Fate. • Nick Cave and Warren Ellis’ score for the movie Wind River. • The Le Sigh Vol. III compilation. • Soccer Mommy’s Collection, a mini-album of re-recorded old songs. • Jim-E Stack’s It’s Jim-ee EP.